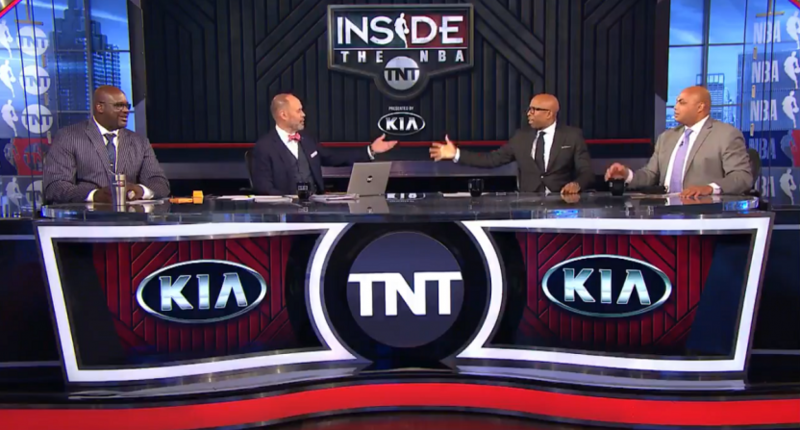 Charles Barkley invites LeBron James to join TNT studio crew: "You ain't got nothing to do!" LeBron James is already doing something he’s not used to doing during the first round of the NBA playoffs: not playing. For the first time since 2005, a LeBron James team failed to make the playoffs, a result that has already caused the exit of Magic Johnson and head coach Luke Walton. LeBron presumably has plenty to do with his offseason in Los Angeles, but in case he is looking for more to fill the void, Charles Barkley extended an invitation to join the Inside the NBA crew. Barkley also tried to sweeten the deal by letting LeBron skip out on post-game duties, which the other hosts weren’t as okay with. Obviously Chuck’s tongue was in his cheek a bit here, but LeBron joining the studio crew, even for just one night, would be amazing! He’s clearly comfortable on television, and it’s hard to imagine anyone knows more about the current playoff teams and star players than LeBron, for a variety of reasons. It’s unlikely because there’s not a ton of upside for LeBron himself, but we can at least imagine it and have fun with the idea. Barkley certainly did. Update: LeBron responded later Monday, and seemed at least intrigued by the idea.